This is the most intelligent rice cooker ever made! Advanced fuzzy logic technology with AI (Artificial Intelligence) “learns” and adjusts the cooking cycle to get perfect results every time. 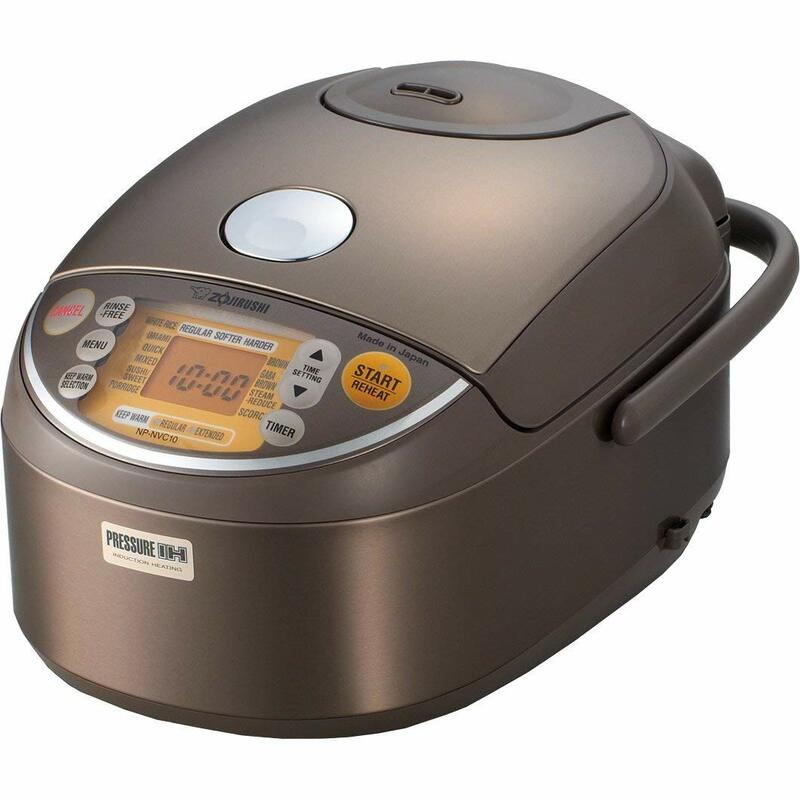 This rice cooker will automatically select from 3 pressure settings according to the menu selected for the best cooking results. The platinum infused nonstick inner cooking pan changes the water quality and allows rice to absorb water easily for better tasting rice. This model also includes superior induction heating technology, multiple cooking functions, an interchangeable melody and beep signal to indicate the end of the cooking cycle, automatic keep warm, and a detachable stainless-steel inner lid. For safety, the appliance provides a pressure-control valve, a back-up safety valve, an inner lid filter, and a pressure indicator on the control panel, which locks the lid during pressure-cooking. Accessories include a rice spatula, a spatula holder, and 2 measuring cups (for regular rice and rinse-free rice).